After years of fighting persecution by the IRS, Tea Party and conservative groups will now be paid generous settlements by the federal government. That’s all good and fine, but what about prosecuting those responsible? It doesn’t look like Jeff Sessions will do that. 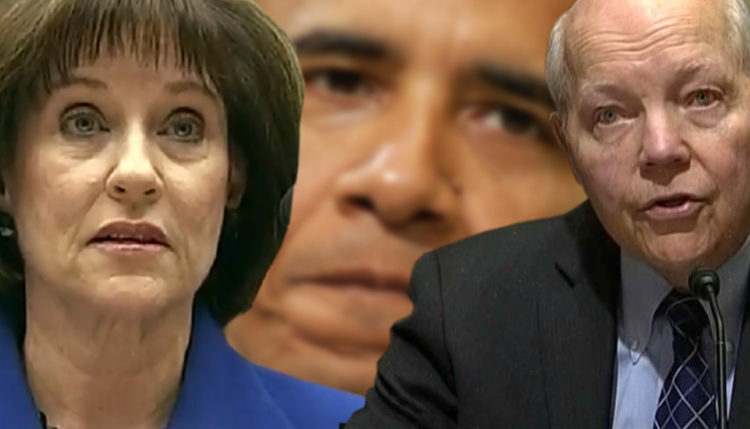 Lois Lerner gets a pass and even worse, the IRS Commissioner John Koskinen, will retire and be replaced by Treasury Department assistant secretary for tax policy David Kautter on Nov. 13th. Kautter will serve as interim IRS commissioner until a permanent commissioner is selected, Treasury Secretary Steven Mnuchin told Bloomberg in a statement. That’s not justice. That’s pay and make it go away in my book. No amount of money will repair the damage done to those groups. Lives were destroyed over this and our solution is let the bad guys walk and pay off those who were targeted. SMH. The IRS last week settled two lawsuits alleging the agency illegally targeted conservative groups under the Obama administration. One of the settlements stipulated the IRS issue a formal apology for illegally singling out conservative and Tea Party groups due to their political beliefs dating back to 2013. The other settlement, a class-action lawsuit brought by the NorCal Tea Party with 428 members, includes a “generous” multi-million dollar payout, according to a lawyer involved. “There is no excuse for this conduct,” Attorney General Jeff Sessions stated. “Hundreds of organizations were affected by these actions, and they deserve an apology from the IRS.” With all due respect sir, define ‘apology’. Sessions also said groups that were seeking tax-exempt status with names including “Tea Party” or “Patriots” were given the runaround “based solely on their viewpoint or ideology.” Yes, that’s true. But what he doesn’t state is that not getting that status prevented these groups from raising money and being active politically. A number of people were audited as well and were devastated financially. No mention of that fact. 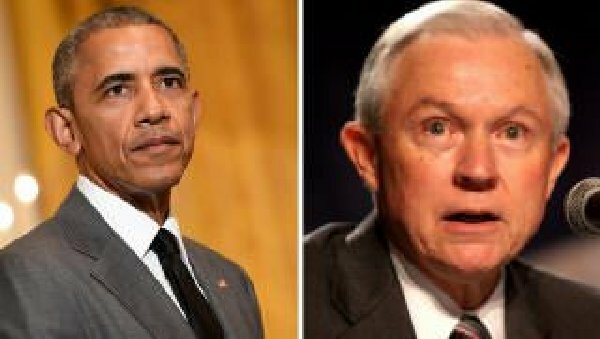 Sessions also adamantly stated that the Obama administration’s witch hunt “was wrong and should have never occurred. It is improper for the IRS to single out groups for different treatment based on their names or ideological positions,” he said. There are court documents from the IRS issuing a ‘sincere apology’ for their conduct towards conservative groups. “The IRS admits that its treatment of Plaintiffs during the tax-exempt determination process, including screening their applications based on their names or policy positions, subjecting those applications to heightened scrutiny and inordinate delays, and demanding some Plaintiffs’ information that TIGTA determined was unnecessary to the agency’s determination of their tax-exempt status, was wrong,” the IRS said in court documents. For such treatment, the IRS expresses its sincere apology.” Simply put… not good enough. Former IRS Commissioner Lois Lerner was singled out for “failing” to stop her employees from illegally targeting conservative groups. Hell, she ordered them to do it and then destroyed evidence. Just outrageous. She resigned, but she should be in jail. The attorneys for the groups involved in the class action settlement said it was “a great day for the First Amendment,” while noting the IRS apology “was too long in coming. The Government’s generous settlement with the Class Plaintiffs fully vindicates their claims that the IRS targeted Tea Party and conservative groups based on their viewpoint,” Eddie Greim, the lead counsel for the conservative groups, told Fox News. I guess it is better than nothing, but I expected Sessions to go after these dirtbags. “However, like Lois Lerner’s stated apology back in 2013, any recent so-called ‘apology’ by the IRS has little value. That is because the Service continues to suggest that its targeting was really just ‘mismanagement,’” Greim said. Exactly. And by the way, how do we know it won’t happen again? I’m sure the Tea Party groups and conservatives just want this to be over and done with now, but this is a sad way to end such abuse. It’s a hollow victory at best. It says to those who break the law and abuse others with the power they wield that there are no legal repercussions that will ever touch them. Evidently they are above the law.